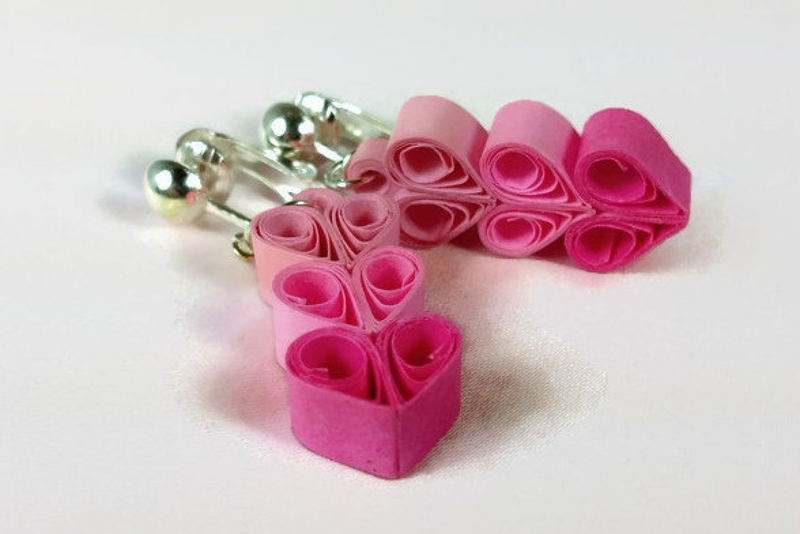 Being made of paper, these whimsical clip on heart earrings are super lightweight and ideal for non-pierced ears. No more uncomfortable tugging on your earlobes! 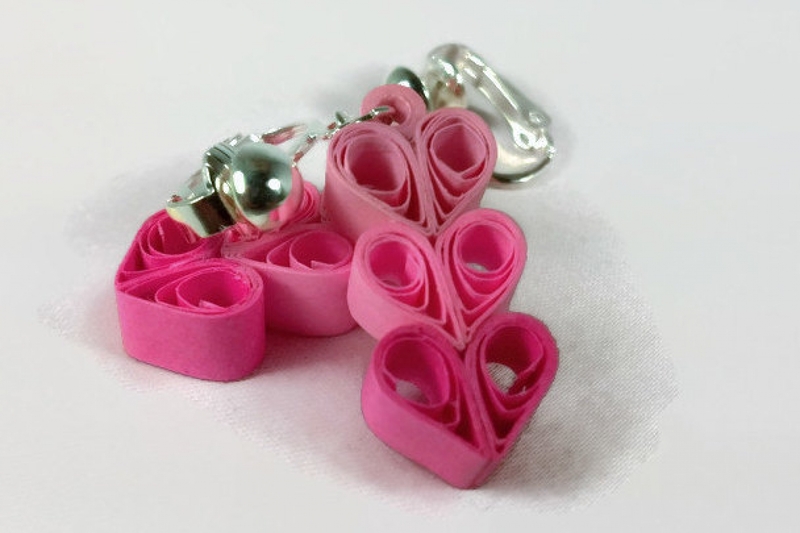 These heart paper quilled earrings are made from quilling paper in pretty shades of pink. Each earring boasts three delicate hearts, cascading down from delicate baby pink to fuchsia. They are coated in a sealant which makes them water resistant and UV resistant. They hang from silver plated half ball, lever back style clip-ons. Great news! 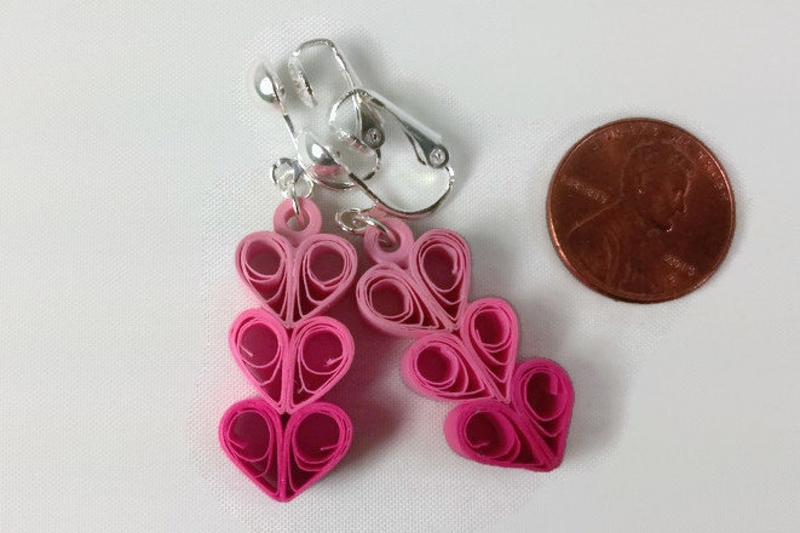 Nearly every pair of earrings in my shop can be converted to clip ons! Simply click here to see more of my creations.